In a Montessori House of Children one sees children working on work mats on the floor. The child picks up the material of his choice (only the ones he has been introduced to according to his age) and works with it. We use a system called “Vertical Grouping” which involves children from 2.5 years to 6 years working in the same environment, which is beneficial to all. The older children feel a sense of responsibility towards the younger ones and help them settle and also assist them in their work. The Younger ones in turn observe the older children and feel motivated to work like them. Each Environment has a maximum of 30 children with 2 trained adults. Hence the Adult-Child ratio is 1:15. 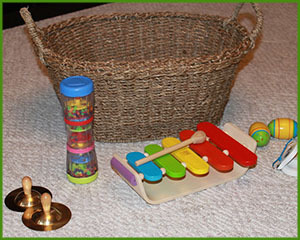 The child is shown various concepts with the Montessori Material. The child works with each material repeatedly till he or she is satisfied. This ensures absorption of these concepts with ease and comfort. Here we target the child’s need to work with his hands and learn rather than his mind directly. Exercises of Practical Life are activities that are a part of our daily routine. The child is born with an internal urge to blend into his surroundings hence he has great interest in learning about them. It starts with developing one’s fine motor skills, hand strength, hand-eye coordination and balance. It also covers grooming one’s self, taking care of their surroundings and developing social behavioural skills. 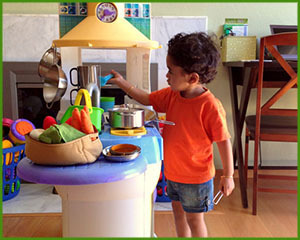 When a child is born, he interacts with his environment through his senses. He understands the things and people around him with the help of his various senses (Sight, Hearing, Smell, Taste and Touch). By 3 years of age he has a heap of sensory impressions stored in his sub-conscious. It is now important to show him how to sort, segregate and categorize this information, hence making him capable of intelligently using his environment. It also assists him to consolidate and co-ordinate his intelligence, will and voluntary movements. 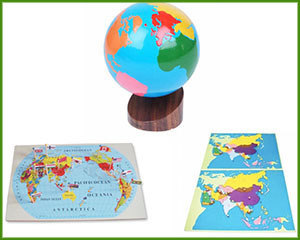 These activities form a foundation to Arithmetic and Language. The foundation of our language program is Phonetics. Speech is made up of various sounds. 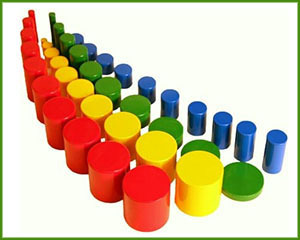 In the Montessori House of Children we believe in respecting the child’s achievements prior to his entering the place. At the age of 2.5years, the child can speak and express himself to a certain extent. He most probably has a vocabulary of 200-300 words. Our Language program focuses on building on this knowledge of the child. 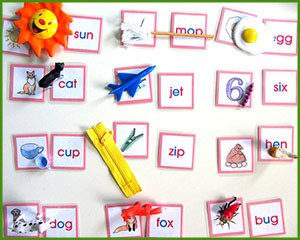 Hence we begin with phonetics which is also very efficient when it comes to writing and reading. The child has an urge to understand Quantity at a certain age. 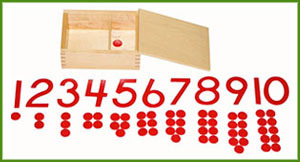 We have various materials that the child works with to comprehend numbers, the decimal system and the 4 operations i.e. Addition, Subtraction, Multiplication and Division. Between the ages 2.5years and 6years we must expose the child to the beautiful nature around us. The child builds a healthy respect to all aspects of life at this age. The child gets opportunities to come in active contact with plants and animals and their various forms. The child must be given various opportunities to interact with the human culture that we have built. This includes him becoming aware of the different forms of expression created by mankind like painting, music and dance.